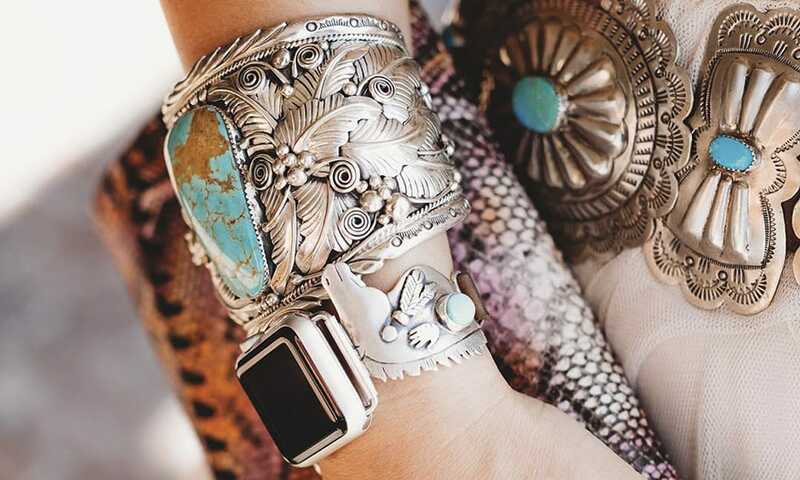 Wild Horse Watch Bands takes a creative turn with designs beyond the everyday band. Want to take your smart watch on a ride to another dimension? 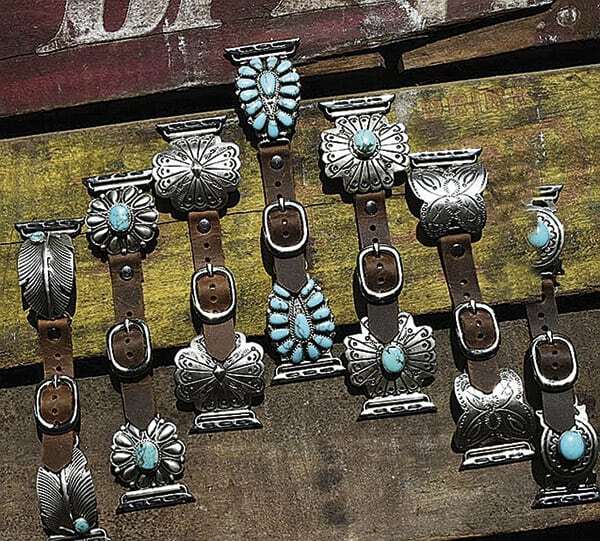 Wild Horse Watch Bands takes a creative turn with designs beyond the everyday band. 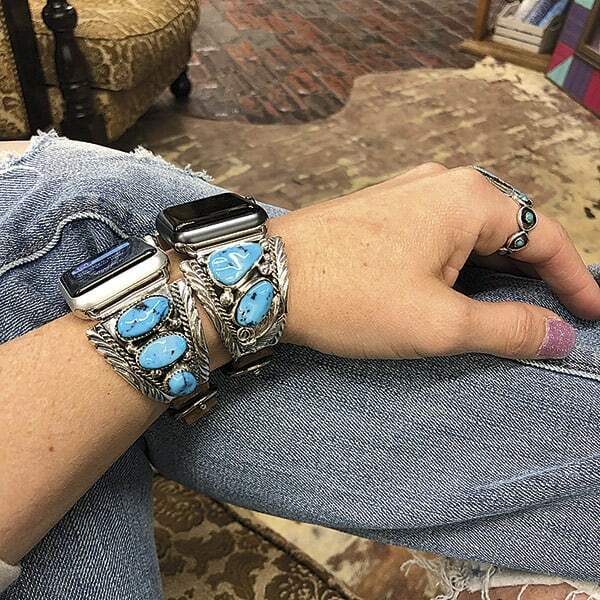 Clusters of turquoise and tooled silver with leather not only makes wearing your watch fun again, it also makes a timeless statement of style! Prices range from $179.95 to $549.95. 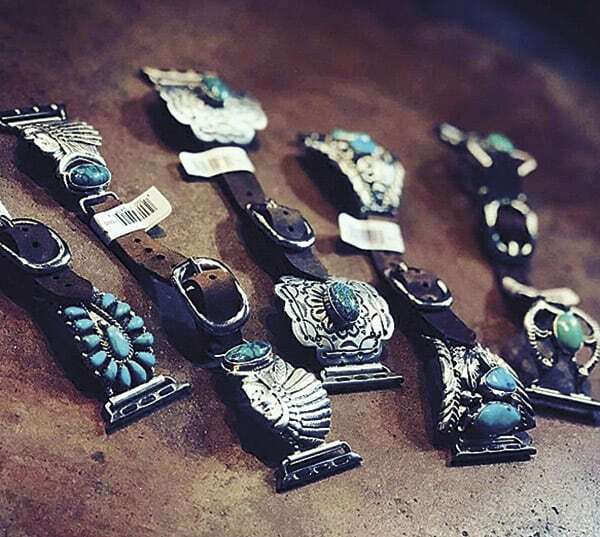 Follow Wild Horse Watch Bands on Instagram here.